This SwiftLine kit includes 2- MBS5, 2- SBS5, 1 BRL-1 for use with WHLB5 brakes. 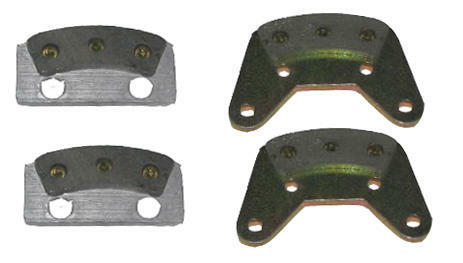 The linings come installed on the brake shoes. This kit reflects a 20% discount on the reline kit and 60% discount on the brake shoes. There is no charge for the installation on the linings. After your SwiftLine purchase, any time you send your brake shoes in with spent linings, they will be relined for 20% off the cost of the reline kit. There is no labor charge removing the old linings and installing the new ones! Call for a Return Merchandise Authorization (RMA) number when sending in shoes with spent linings to minimize the turn around time.